We’re pleased to announce the expansion of our technology partnership with Faronics in which Faronics Deep Freeze™ will be bundled with our GFI Sandbox™ technology. GFI Sandbox enables the rapid analysis of malware behavior by executing potential malcode inside a controlled environment. With Faronics Deep Freeze managing and resetting the client workstations that GFI Sandbox runs on, our automated malware analysis tool provides organizations with best-in-class threat intelligence running within a secure, protected and scalable environment. In addition to this new bundled package, we have also partnered on antivirus technology. Faronics offers our VIPRE Antivirus to its customer base as Faronics Anti-Virus™ through an OEM agreement. VIPRE Antivirus delivers antivirus and antispyware protection, client firewall, anti-rootkit, and malicious website filtering technologies in a next-generation endpoint security solution. All of this security is packed into a single agent, which enables comprehensive endpoint malware protection with low system resource usage. 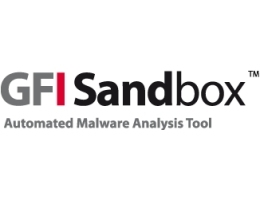 GFI Sandbox is the industry’s leading dynamic malware analysis tool. It gives researchers the ability to compare multiple analyses for differences and similarities, and allows them to send malware samples to multiple sandbox configurations using different desktop images and centrally manage the process. This identifies, stops and isolates new and previously unknown malicious code before it can damage computer networks or compromise data. By leveraging this sophisticated analysis, enterprises can put security best practices in place to account for how malware behaves differently on varied desktop configurations within their networks and proactively protect against targeted threats. GFI Sandbox provides true automation that gives those on the front lines of cyber-defense and digital forensics the ability to analyze potential threats quickly, efficiently and in bulk. This also saves organizations valuable time and resources in the process. With its reboot to restore technology, Faronics Deep Freeze offers the strongest protection available and eliminates the need for IT professionals to reconfigure, re-image, or troubleshoot computers, reducing support incidents by up to 63%. Faronics Deep Freeze makes computers indestructible and prevents against workstation damage. It does this by ensuring each and every desktop, laptop, and server always remain in the same perfect original operating state. Deep Freeze ensures 100% workstation recovery on every restart and is the only solution that effectively balances workstation security with user productivity. IT personnel don’t need to worry about file congestion, system configuration changes, undesired applications/software, or hard drive degradation because unwanted personal information is never retained by the computer. It allows IT personnel to focus and work on more strategic IT needs for the organization rather than respond to avoidable help-desk requests. 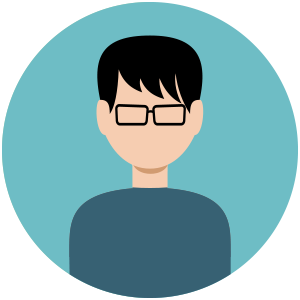 In fact, Deep Freeze users manage up to 12% more desktops per employee.